If this is an April Fool's Day hoax I will be crushed, as obviously I cannot live without this. 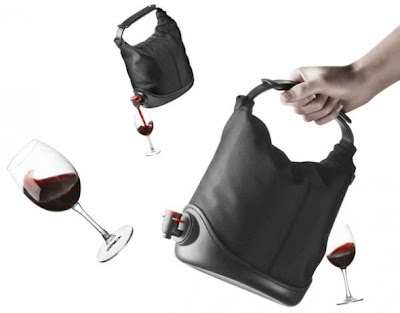 Ok, so it doesn't appear to function as a purse plus wine transport, just the later, but I can live with that! Buy at Scandinavian Design Center for $58. Screw the purse part, you give me that now!